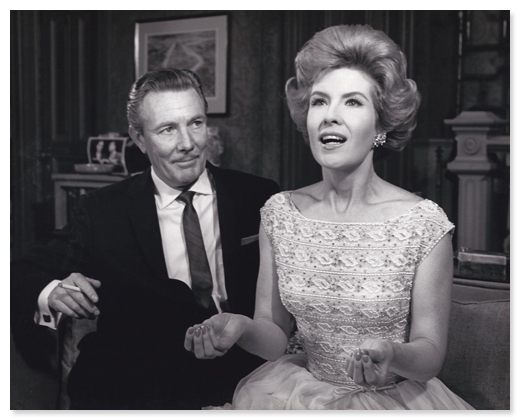 Julia Meade, as Mary, and Tom Helmore, as movie star Dirk Winsten, in the 1962 stage production of Mary, Mary. 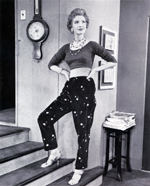 Julia won the 1962 - 1963 Sarah Siddons Award for her appearance in the play. 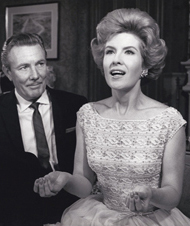 Tom Helmore was a classic British stage and screen actor whose career spanned six decades. He appeared in the films Vertigo, The Time Machine and Designing Women.